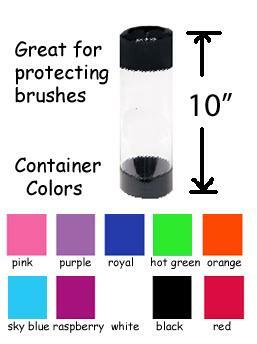 Band/Brush Container at Paw Marks! Store your wrap bands, treats or protect your brushes especially when traveling. 3 inch X 10 inch container accomadates most brushes.